Frequently Asked Questions - Wendybird. This page is currently under development. If you have a question, please contact us. Wendybird is a not-for-profit community group who are working to build a supportive community for Lesbian, Gay, Bisexual, Transgender and Intersex people along with their friends, families and children to find meaningful connection, which supports our mental health and wellbeing. What does the name 'Wendybird' Mean? The name ‘Wendybird’ is used in recognition of Wendy Morris, an LGBTI community member who died by suicide in June 2007. It is in honor of her that this community initiative is being created to promote the value of connection and belonging in suicide prevention for LGBTI people and the whole community. Wendybird was founded by Sally Morris and Chantel Keegan in February 2014. Wendybird was created and is led by a collective of Lesbian, Gay, Bisexual, Transgender, Intersex and Queer (LGBTIQ) people who volunteer their time, enthusiasm​, and skills to create community spaces for you to connect. Wendybird is a not-for-profit community group that relies upon grants and donations to deliver our activities. All income received goes directly to support our social mission and community activities. Find out more about the grants and donations we have received. Who are the People who volunteer for Wendybird? Wendybird is led by a collective of Lesbian, Gay, Bisexual, Transgender, Intersex and Queer (LGBTIQ) people who volunteer their time, enthuasium and skills to create community spaces for you to connect. Does Wendybird have paid staff members? No, Wendybird is led by a collective of Lesbian, Gay, Bisexual, Transgender, Intersex and Queer (LGBTIQ) people who volunteer their time, enthuasium and skills to create community spaces for you to connect. Wendybird is in Brisbane, Queensland, Australia. Can I make a donation to Wendybird? Yes, Wendybird is a not-for-profit community group that relies upon grants and donations to deliver our activities. What is Wendybird's Legal status? Wendybird is an unincorporated community organisation. Wendybird has auspice agreements with Community Initiatives Resource Association and Communify Qld which allows us to apply for grants and provides us with public liability insurance. 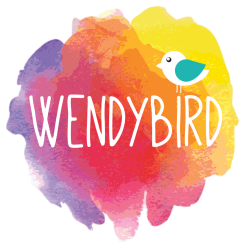 Wendybird facilitates community events and delivers projects for people of diverse bodies, genders, relationships and sexualities, their friends, families and children to find meaningful connections. Wendybird is working to intentionally grow a safer and more supportive community for people of diverse bodies, genders, relationships and sexualities, their friends, families and children. This is a community where everyone can participate, and experience connection, acceptance and belonging resulting in improved mental health and reduced incidence of suicidality among our LGBTIQ community. What are the values of Wendybird? Wendybird is a community built on shared values, and is for everyone in the Lesbian, Gay, Bisexual, Transgender, Intersex and Queer community, regardless of what words you may or may not use to describe yourself or your experience . Wendybird is for people of all ages, and we also encourage family, friends, partners, children and allies of LGBTIQ people to participate. Learn more about who Wendybird is for. Can Wendybird provide me with support? Unfortunatley Wendybird isn't able to provide our community with additional support outside of our events, but we have put together a list of Services for Support that will be able to help you. When are your events on? Wendybird events are on a Saturday or Sunday every 6 weeks at the New Farm Neighbourhood Centre at 967 Brunswick St, New Farm. Wendybird events are on a Saturday or Sunday every 6 weeks at the New Farm Neighbourhood Centre located at 967 Brunswick St, New Farm. See Map. There is ample street parking and a bike rack onsite. How do I get to the New Farm Neighbourhood Centre? Wendybird events are on a Saturday or Sunday every 6 weeks at the New Farm Neighbourhood Centre located at 967 Brunswick St, New Farm. Bus numbers 195 and 197 travel to Stop 16 outside the New Farm Neighbourhood Centre on Brunswick St or catch the City Cat Ferry to New Farm Park then walk 200m up Brunswick Street. Visit Translink for details. What is the New Farm Neighbourhood Centre Like? Wendybird holds our events in the garden and community room of the New Farm Neighbourhood Centre, with entry to this area down a path to the left hand side of the community centre. The outdoor garden space is private, shady, spacious area, with a children’s playground. The Community room is a large open space, and gives us access to two gender neutral toilets, one of which is ambient accessible, a fridge, and zip boiler for cups of tea! The venue is fully wheelchair accessible, but there are a few uneven sections to be cautious of. Have a look at the New Farm Neighbourhood Centre! Who can come to Wendybird Events? Wendybird is a community built on shared values, not on identity. Wendybird events are open to everyone in the Lesbian, Gay, Bisexual, Transgender, Intersex and Queer community, regardless of what words you may or may not use to describe yourself or your experience . Wendybird is for people of all ages, and we also welcome family, friends, partners, children and allies of LGBTIQ people to participate. If you are able to, we welcome gold coin donations to cover the costs of refreshments and venue hire. You are also welcome to bring some salads and snacks to share if you are able to. What support do you provide to help people participate? We know that it can be quite scary and daunting coming to a LGBTIQ community event for the first time, especially if you are on your own. Wendybird aims to be a nurturing and inclusive space, welcoming people of all cultures, ages and levels of ability. Wendybird Collective Volunteers are there to welcome every person who attends when they first enter the event. They are there to show you around the space, introduce you to other people, let you know what will be happening during the event, and help you feel more comfortable in the space. Collective members are available throughout the event to assist you with anything you need, with many having experience in supporting people around their mental health and wellbeing, including anxiety and depression. Is there food available at the events? We have a BBQ at every event with beef sausages, vegetarian sausages, onion, bread and sauces. Other participants may bring salads and snacks to share that you can also eat. We also have tea, coffee, cordial and water available to drink. If you have specific dietary requirements (such as gluten free, lactose free, vegan or have any allergies), we suggest that you bring along something that you know you are able to eat. The number of people who attend our events varies depending on the day, time, activity and weather, but generally there are about 30 to 40 people. There are usually between 6 and 10 Wendybird Collective Volunteers at every event. Wendybird Collective members can be identified by their aqua Wendybird t-shirt, and are introduced during the event welcome. What happens at Wendybird Events? a welcome where we outline who we are and what the space is about. Interactive activity that you can choose to participate in if you wish. How do you make Wendybird a safer and supportive space? We are a community based on shared values of Authenticity, Belonging, Compassion, Inclusion, Participation and Sustainability, rather than on our identities. ​We strive always to use language and actions, which are respectful and culturally appropriate. We ask that you do the same, in the knowledge that we won’t always get it right, but we will gently support each other in our learning. Wendybird Collective Volunteers are there to create and ensure a safer and always supportive space by supervising the space, welcoming every person who attends, and being available throughout the event to assist with anything you might need. All Wendybird Collective Volunteers have their Working with Children Blue Card, with many having their first aid certificate, and experience in supporting people around their mental health and wellbeing, including anxiety and depression. If you experience any problems at our events, including with another participant, please let one of our Wendybird Collective Volunteers know during the event, or you can contact us after the event, and we will do our best to support you. What type of people come to Wendybird? Wendybird attracts a diverse range of people, across ages, genders, sexualities, cultures and abilities. We recognise that historically, in the gay, lesbian, bi and trans scenes, we have been led to seek support within our own specific tribes and we acknowledge the value of this at certain times in our lives. Many people who come to Wendybird are looking to connect with others and experience belonging to a community - regardless of their identities. How do I connect with other people at the events? We know that forming and building connection can be hard, here are some Tips for Connection!